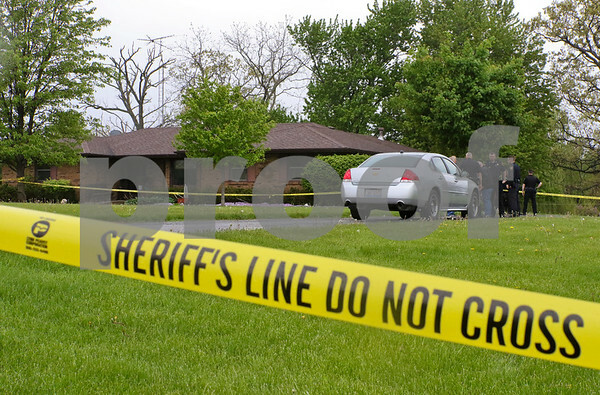 DeKalb County Sheriff authorities meet in front of a home at 31223 Madison Rd. in Genoa at around 6 p.m. after responding to a report that a person was stabbed with a knife in the house on Thursday, May 14, 2015. DeKalb County Sheriff's Chief Deputy Gary Dumdie said on the scene that police were investigating a domestic dispute.